The new task for the luxury budget that has been given to the contestants by Bigg Boss is quite heavy on them emotionally. The purpose of this task is to check their self-control. All the contestants get freeze as statues when Bigg Boss directs them and they have to be still until Bigg Boss asks them to release. In the meantime, an outsider visits the house; he/she can be a friend or family member of an inmate but that inmate cannot react till Bigg Boss’ orders. Colors channel shared a video in which we see that Divya Agarwal, ex-girlfriend of Priyank Sharma, visits the house and talks to Priyank. She was Priyank’s beloved when he entered the house but then he got close to Benafsha, she got hurt and decided to separate with him. Divya told Priyank that she came to scold him but after seeing him, her heart melted and she couldn’t say any bad thing to him. 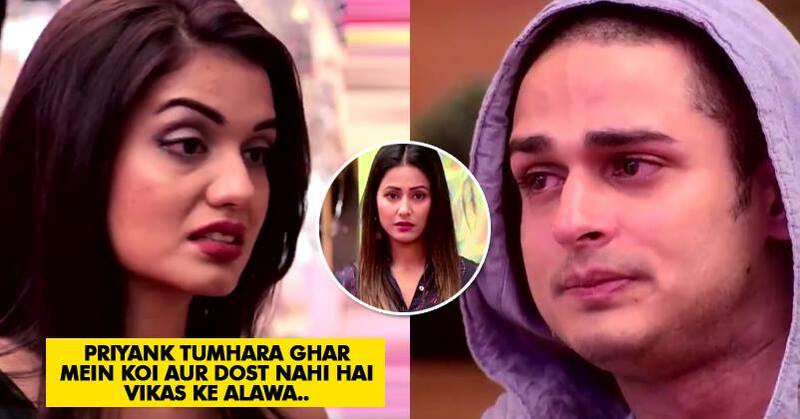 She also advised him to listen to Vikas as he is Priyank’s only friend in the house. We have seen that Priyank, Luv and Hina are in the same group but Divya suggested Priyank to play alone, as he doesn’t need the group. It indirectly hints that he should now remain away from Luv and Hina and he alone is more than enough to win this game. She further tells Priyank that he has done a lot of hard work to reach there and he shouldn’t spoil it. What do you have to say about Divya’s advice to Priyank? Let us know.